DEELUXE SNOWBOARDING. FOCUS ON ONE THING. This journey has taken us from the streets to the steeps and everywhere in between. 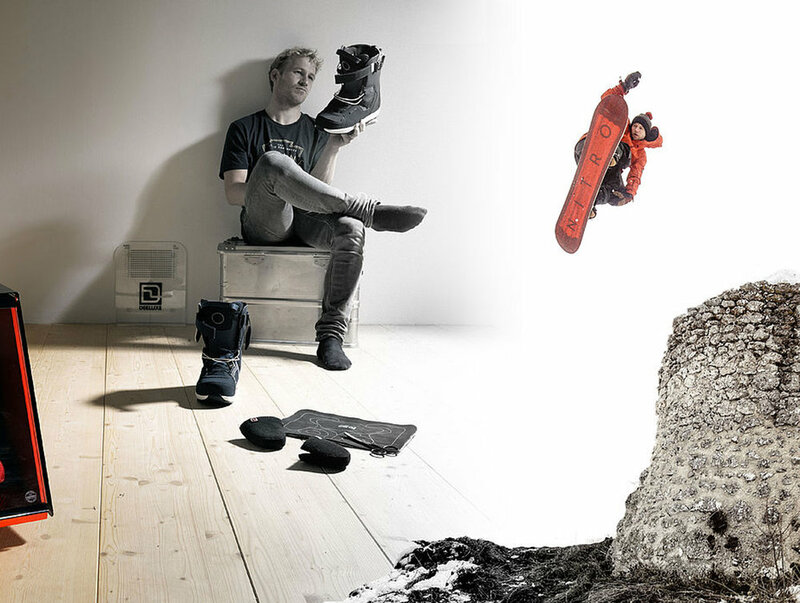 At Deeluxe, we focus on one thing: crafting exceptional boots for snowboarding. As a tight-knit independent company, we’re driven by a passion for riding and a commitment to innovation. For over twenty years, we have pioneered new technology while refining proven approaches. By collaborating with riders to develop boots for the specific terrain they destroy, we offer footwear as diverse as today’s riders. This design-driven approach allows you to focus on your riding while we take care of your feet. Whether you session rails in front of city hall, lap the bunny hill, or split-board in Alaska, you can depend on Deeluxe. ABOM IS A GROUP OF INVENTORS, SCIENTISTS, AND DESIGNERS ON A MISSION TO MAKE THE FUTURE MORE FUN. In 2014, Abom Inc. launched its microcontroller-managed heated fog-free goggles. The company has developed a portfolio of 12 issued and 47 pending patents to provide a solution to fogging. More recently, Abom has launched eyewear products that eradicate foggy lenses for the military, tactical and safety markets. Abom’s ballistic-rated military winter goggles were recently tested by the U.S. Army and the testing team relayed positive feedback Abominable believes that technology can and should serve to enhance our experiences. Picture clothing company. A clear concept based on strong values. Ride, protect and share. These three words capture the essence of Picture Organic Clothing. But there is also another story behind the brand a meeting between three “pals”. Julien Jeremy and Vincent. 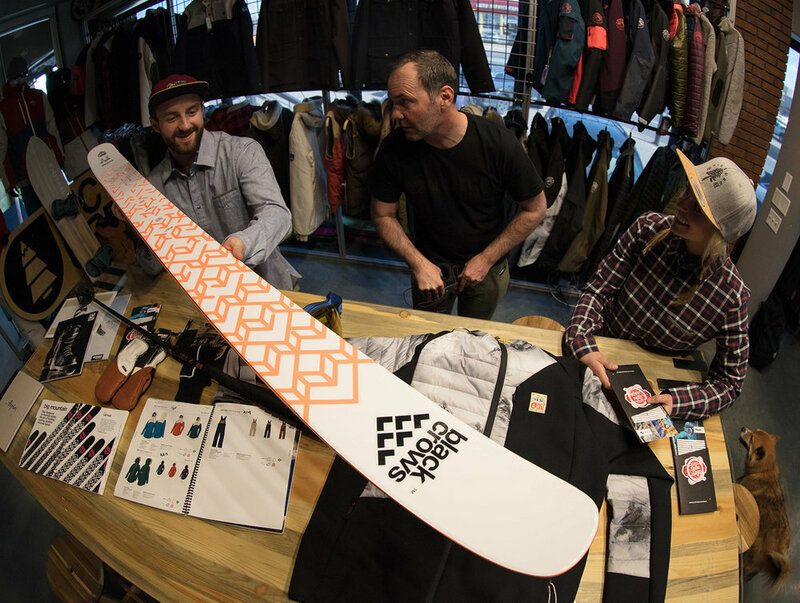 “We all come from different backgrounds but chasing a childhood dream and united by that shared passion for board sports and the desire to create something that reflected our identity. We founded picture Organic Clothing in 2008 with a clear redline. Oyuki products have been designed, developed and tested in Niseko, Japan, one of the snowiest places on the globe. Niseko is known for being home to the lightest, driest powder snow in the world but you won’t find conditions like this without freezing temperatures, so you can be confident that your Oyuki and SumoSox products can withstand the toughest alpine conditions. TSL OUTDOOR. A TECHNOLOGICAL COMMITMENT VIA ECO-DESIGN. Eco-design consists of designing a product with consideration for the impact that every stage in its life cycle will have on the environment. TSL has always been concerned for environmental protection. A responsible “good neighbour”, the company has a strong attachment to the natural environment in which it is privileged to operate. We therefore seek, from the initial design of the product, to optimize its environmental performance by minimizing its impact (consumption of materials, transport, usage, recycling, etc.). PHUNshun. PROUDLY MANUFACTURED IN THE USA BY COLORADANS. The Challenge… During our early years virtually every person we met from the textiles or winter-sports industries told us that what we wanted to do ‘couldn’t be done’… Making a quality product in the USA from domestically sourced and recycled raw materials. It Can Be Done… According to many, we were ‘doing it wrong’ and after hearing this dozens of times, we realized that our unique approach was actually the key to our success. Almost 10 years later we are still manufacturing in the USA, and couldn’t be happier about it. LEBENT. Line after line, trail after trail, run after run. We believe good times in the outdoors is nature’s gift for everyone to enjoy. Nothing needs to get in the way of this. By making our beautifully designed gear super comfortable, everyone can enjoy the outdoors whatever nature decides to throw at you. The right gear allows you to appreciate nature’s many moods. Living and breathing the outdoors, we craft high performing gear that’s in tune with your body, unlocking nature’s endless playground.